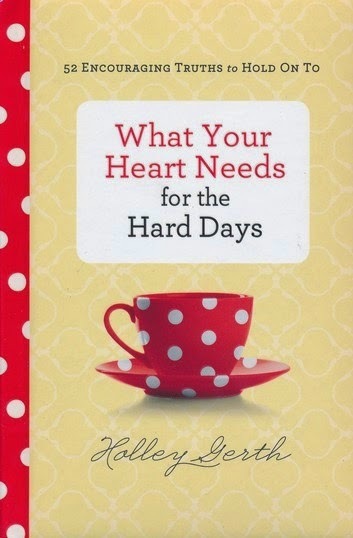 "What Your Heart Needs for the Hard Days" by Holley Gerth, is a new devotional recently released. There are 52 encouraging truths. 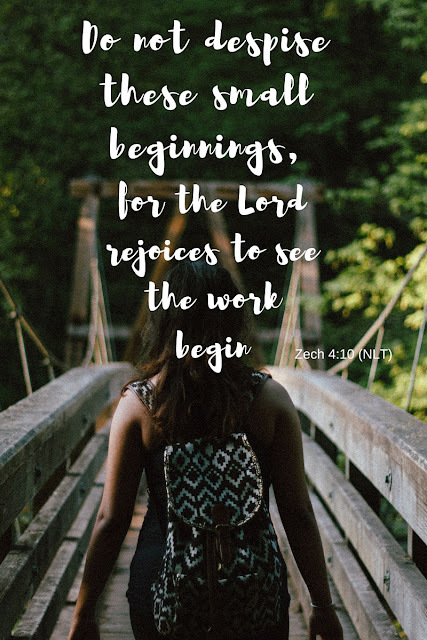 How can you not love a devotional with chapters named, "God Say's You're a Delight Not a Disappointment" or "God Wants to Know, How are You, Really?" Holley's sweet encouraging words ring loud and clear in each short chapter. They make for the perfect read while sipping your morning coffee. I think Holley knew just what she was doing when she decided to write this. Don't we all need hope for those hard days? Just a little bit of encouragement to reassure us we aren't alone. 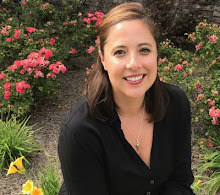 Holley once again offers truth, wisdom, and grace in short, easy to read morsels. You'll be tempted to indulge in the entire book. But I say taste each one-day by day, savor and enjoy, so that the truths she has for you may sink deep. I know some days I struggle to get out of my nice warm bed and would like nothing more than to pull the covers pulled up close and go back to sleep. BUT, I do get up. And when I work my way down and sit with my warm cup of sweet creamy coffee, I smile as I pick up Holley's devotional. Her words encourage my tired and weary soul and turn my mindset around. I'm reminded of God's promises to me and reminds me, yes, life is hard, but I serve a good God that is with me every step of the way. Don't we all need a little of that sunshine? She does, doesn't she? Take care, Beth. Hope you have a wonderful Advent season. I hadn't heard of her new book. Glad you are enjoying it. I liked the title about us being a delight to God, since that rings dear to my heart about God;s thoughts of us. Re your comment on my post "What the Mirror Can't Tell You," I'm so glad you stopped in this week too, Alecia. Thank you. I'm thankful my words were a balm to a frazzled soul just now. You are kind and encouraging to me.